Influenza – should you get vaccinated? Influenza is an infection caused by a number of different viruses – tiny organisms that can invade living things – plants, animals (including other microorganisms) and humans. Infection spreads via droplets of air-borne moisture – one sneeze can project 100,000 particles into the air. And, in just 12 hours, one influenza virus can invade and multiply through a million cells in your nose and throat. If they reach the lungs, they can trigger problems like bronchitis and pneumonia. Every year in Australia, influenza causes about 18,000 hospitalisations and 300,000 GP consultations[i]. It can be a serious condition for the very young and the elderly, for whom it can be fatal. For the majority of the population who are generally reasonably healthy, it isn’t fatal but can be very debilitating. The tiny microorganisms that are influenza viruses can only replicate inside a living organism so they’re always looking for a way to get inside you. When they do, viral cells take charge of your body cells making them produce more viral particles, turning your cells into a sort of influenza factory. And, as they increase in number, symptoms are triggered – fever, aching, shivering and more. One of the ways your body’s immune system defends against infection, after detecting microorganism invaders, is by fighting them by producing very specific antibodies, disease-fighting soldiers. After fighting that particular invader, the blueprint to overcome it is retained. That way, should your body encounter that very same organism, it can rapidly produce and deploy the soldiers needed to destroy the particular invader and protect the body from infection. The trouble is, viruses can easily change their format slightly (mutate). This tiny mutation means that it becomes an organism that the body hasn’t encountered. So, a whole new blueprint for the infection fighter has to be made. And this takes time. Because viruses mutate easily, a new vaccine is needed every year – last year’s vaccination probably won’t protect you from this year’s outbreak. The vaccination contains three strains of the viruses that have caused the most illness in the northern hemisphere the season before. The vaccine contains dead viruses – they don’t need to be alive to trigger your body to produce antibodies to them. So, if you were to encounter any of the three strains contained in the vaccine, your immune system can act rapidly. Will the vaccine give me influenza? Because the vaccine contains dead viruses, it can’t trigger influenza. Sometimes people feel ill after an influenza vaccination but this is more likely to be due to an unconnected infection such as a cold. It is still possible for you to catch an influenza virus after vaccination – there are many strains of influenza virus around and the vaccination only protects you against the three most common strains. In fact, there are so many different types of influenza virus that it isn’t possible to mass-produce a vaccine to protect against them all. But what the vaccine does do is alert your body to the threat of it without the virus being able to reproduce and cause symptoms. Even so, there might be a little soreness around the injection site and, rarely, a slight temperature and aching muscles for a couple of days afterwards. Experts recommend that certain people get vaccinated against influenza because if they were to catch it they may pass it onto vulnerable people or because they may be vulnerable themselves. People who live or work in nursing homes/other long-term care facilities and people who are homeless. If you don’t fall into these at-risk groups, you can still go along and get vaccinated at your GP clinic – some pharmacies also provide this service and it will cost you around $10. It’s best to be vaccinated in autumn before winter comes to allow you time to build immunity (it can take three weeks after immunisation to do this). The vaccine is released in March/April and the influenza season lasts until August/September. Talk to your doctor if you have an egg allergy, as the vaccine might contain traces of egg. And don’t have a vaccination if you have a cold or influenza because of the slight chance of fever. Otherwise, the influenza vaccine is considered safe. 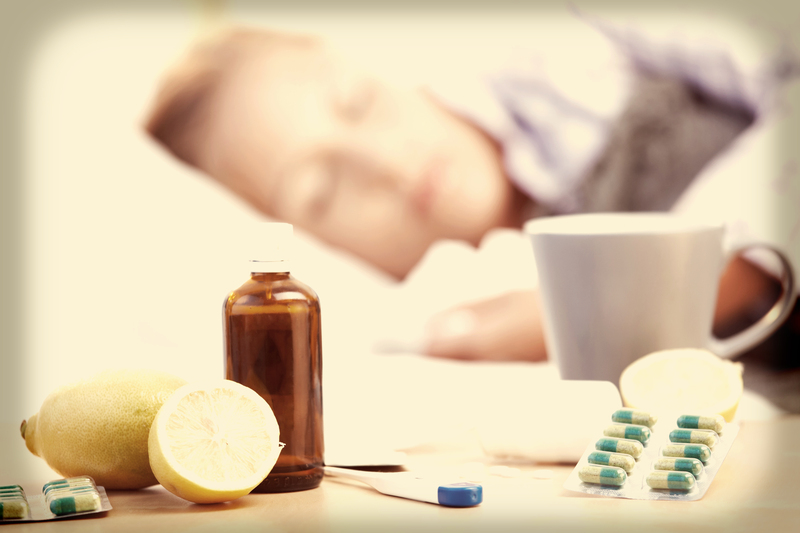 What else can you do to avoid influenza this winter? We’ve known for a long time that exercise can help to boost mood and build strength and it may even boost resistance to infection. Researchers at the University of Sydney are studying whether exercising before having an influenza vaccine could improve its effectiveness[ii]. The researchers say that although we know that regular exercise activates the immune system, it may also improve the body’s response to the vaccine. To find out more, talk to your GP or go to www.immunise.health.gov.au. To mark World Oral Health Day (WOHD) today, we’re focusing on tobacco and how it affects oral health. Oral health diseases are the most common diseases in the world; they affect a massive 90% of the world’s population at some stage in their lifetime. But with thorough dental hygiene and care, many can be avoided. You already know that your dentist is the first line of defence when it comes to keeping your teeth and gums at their peak health. But did you know that your dentist is also trained to look for early signs of serious conditions such as mouth cancer? Early detection is important to ensure that you can get the treatment you need. It’s widely known that smoking increases your chances of lung conditions like emphysema and cancer. But did you know it can also seriously affect your oral health? There are a range of dental problems that affect people who smoke. Bad breath – Cigarettes contain chemicals such as tar. The chemicals stick to the teeth of people who smoke and build up in the mouth over time, which creates an odour. Smoking also dries out the mouth. As saliva is the natural cleanser of the mouth and flushes out food debris and bad-breath bacteria, smokers may have more bacteria in their mouth compared with non-smokers. Bad breath can also be caused by gum disease (gingivitis), which is more prevalent in smokers. One reason for this could be because smoking uses the vitamins, like delicate vitamin C, which is needed for a healthy immune system to battle infection. Increased risk of oral cancer – It’s no secret that smoking is the major cause of cancers in the mouth, tongue, cheeks, lips, throat, oesophagus and salivary glands, among other organs. And that the longer you smoke and the more you smoke, the greater your risk of oral cancers. But did you know that more than 80 per cent of cancers of the mouth, throat and nose occur in people who smoke pipes, cigarettes or cigars? These cancers are caused by at least 28 chemicals that have been shown to increase the risk of cancer. Slower wound healing and increased risk of gum disease – As smoking affects the immune system and nicotine impairs the blood flow to the gums and bone (by reducing the diameter of blood vessels), smokers may have slower wound healing – including healing in the mouth. After oral surgery (such as a tooth extraction), it may take a smoker a lot longer to heal. Smokers are also six times more likely to have serious periodontal (gum) disease. Because smoking reduces the blood supply to the gums, early gum disease symptoms like bleeding gums can be masked. This is also caused by the lowered immune system, as the body can’t fight the infection and because people who smoke are more likely to produce bacterial plaque, which leads to gum disease. This can lead to tooth-loss. 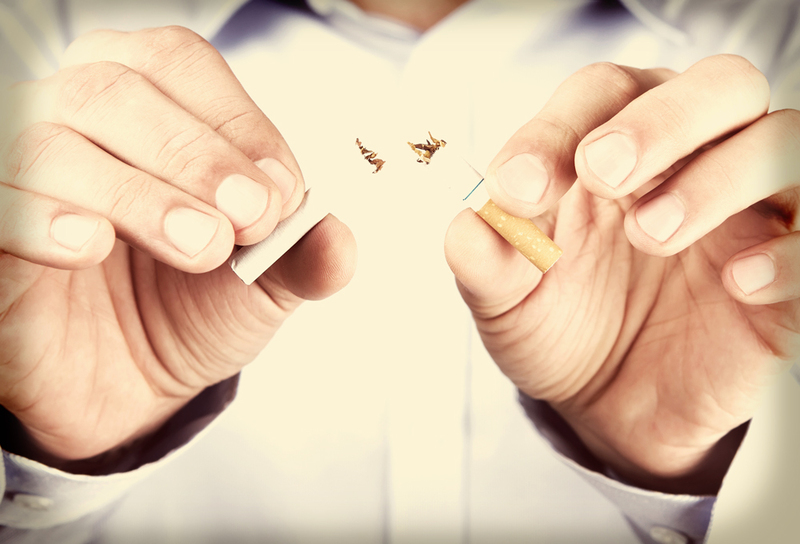 The good news is that just one to eight weeks after quitting smoking, wound healing can improve in the mouth. Complications after dental treatments – If you smoke, you’re more likely to develop a painful condition called dry socket. This can occur after a tooth is extracted. You’re also more likely to have pain after dental treatments and certain procedures such as dental implant surgery are more likely to fail. Increased build up of plaque and tartar – Smoking causes people to have more plaque (film) and tartar (hardened plaque) on their teeth. This can lead to gingivitis and other gum diseases. Staining on teeth – Staining on the teeth is caused by the nicotine and tar in the tobacco. It yellows the teeth after a short time and the teeth can turn a brown colour after years of smoking, which is hard to reverse. To keep your teeth in the best shape, follow the tips below. Clean – You should be cleaning your teeth twice a day after meals with a toothpaste that contains fluoride. Fluoride is beneficial for the teeth as it helps to fight tooth decay. Don’t forget to floss – Flossing helps to get rid of plaque, which can form between teeth and along your gum line. Flossing daily will help to prevent gum disease and tooth loss. Chew sugar-free gum after eating – Chewing gum encourages the flow of saliva in your mouth. Saliva helps to neutralise acids in the mouth so it’s a good idea to chew some sugar-free gum after eating. Drink tap water – Most of the tap water in Australia contains fluoride but bottled water often does not contain much fluoride. So make sure you are drinking enough tap water! See your dentist – It’s recommended that you see your dentist twice a year so that they can keep a close eye on your oral health. 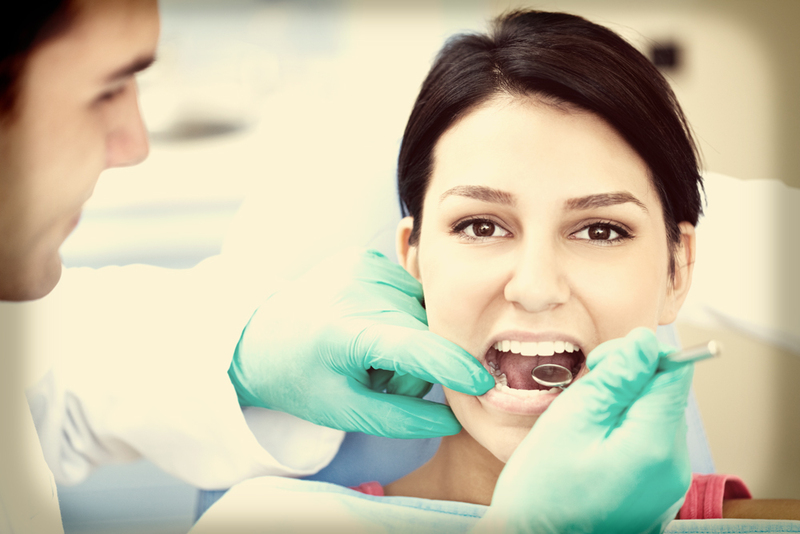 For a comprehensive oral examination, make an appointment to see your rt healthy teeth dentist by calling 1300 991 044. If you are looking to quit, talk to your GP, pharmacist, call the Quitline on 13 7848 (13 QUIT) anywhere in Australia or visit http://www.quitnow.gov.au to find out more information. The Quitline can provide you with information and support you on your journey to quit smoking. 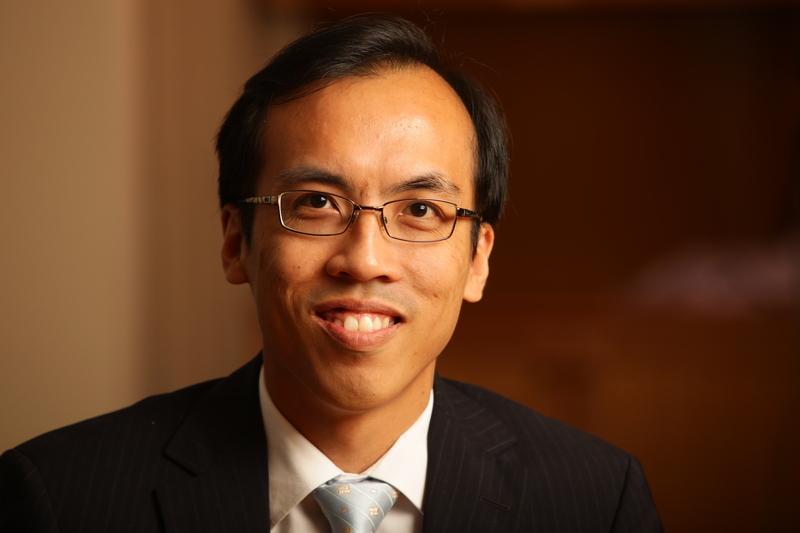 Jui Tham is Chief Medical Officer at rt health fund. Are your eyes vulnerable to the silent sight stealer? Do you know about the silent sight stealer that is glaucoma? During World Glaucoma Week (8-14 March, 2015), events will be held all over the world to increase the awareness of the serious – but treatable condition. Usually a chronic condition, glaucoma refers to a group of eye conditions in which there is abnormally high pressure (in most cases of these conditions) in the eye from build up of fluid in the eyeball. Over time, this results in damage to the optic nerve causing permanent vision loss. The normal eye requires the production, circulation and drainage of fluid in the eyeball. In most cases of glaucoma, the pressure increase inside the eyes is due to a blockage in the circulation of this fluid or insufficient drainage of this fluid out of the eyeball. The build-up of pressure in the eye can gradually damage the optic nerve (which connects the eye to the brain) resulting in gradual, permanent loss of vision. Glaucoma often affects both eyes, usually to varying degrees. One eye may develop glaucoma faster than the other. Glaucoma can affect people of any age, but it’s most common after the age of 40. You have a higher risk of being affected by glaucoma if you have a family history of it. Certain ethnic groups – including people of Asian descent[i] – are more at risk of glaucoma. Currently, a massive 50 per cent of people with glaucoma in Australia are undiagnosed[ii]. Those with conditions such as diabetes or high blood pressure, or those who regularly use medications such as corticosteroids are also at greater risk of glaucoma. It is a ‘silent sight stealer’ in that in many cases of glaucoma which go undiagnosed and untreated, the loss of vision is very gradual, beginning in the peripheral vision and extending very slowly towards the central parts of vision – in the absence of any other symptoms. An eye examination is needed for an accurate diagnosis to be made to prevent or limit damage to the optic nerve. Early diagnosis is important because damage to the eyes cannot be reversed. You can’t prevent glaucoma, but you can slow down its development with early treatment. If left untreated, glaucoma can cause visual impairment and progress to tunnel vision and ultimately result in total blindness. If you are diagnosed with glaucoma, you may have a number of vision problems. Having glaucoma may make it more difficult for you to see and react in time to avoid obstacles, you may have blurred vision and your eyes may take longer to adjust in bright sunlight or from headlight glare at night, too. Those with glaucoma or those taking medications to manage glaucoma may experience uncomfortable glare from car headlights and fluorescent lights. During bright days, try wearing glasses with tinted brown lenses and a lighter tint of amber may work better for you when it is overcast[iii]. You’ll need to experiment to find out what suits you best, but yellow, amber and brown shades may provide the best glare protection. Ask your optometrist about flip down lenses to go over your regular glasses for quick protection. If you are 40 or older, make an appointment to see your optometrist for a comprehensive eye examination every one and a half to two years. If you are 40 or older and have an additional risk factor listed above, get tested every year. If you’re at an especially high risk, get yourself tested every year or two after 35[iv]. Your optometrist is qualified to examine your eyes for eye and vision disorders and to treat the problems. During an eye test, your optometrist will screen for common eye diseases including glaucoma. Some cases of glaucoma can be controlled through medicines and eye drops, but around one in ten people may need surgery. Attending regular appointments with your optometrist will help to ensure any signs of glaucoma can be detected early and allow treatment to begin. Your kidneys are incredible filters that work constantly to remove waste compounds from your blood and eliminate them via urine. Part of your body’s detoxification system, your entire blood supply passes through your kidneys[i] in just five minutes. And, over the course of a day, between one and two litres of waste leaves your body as urine. 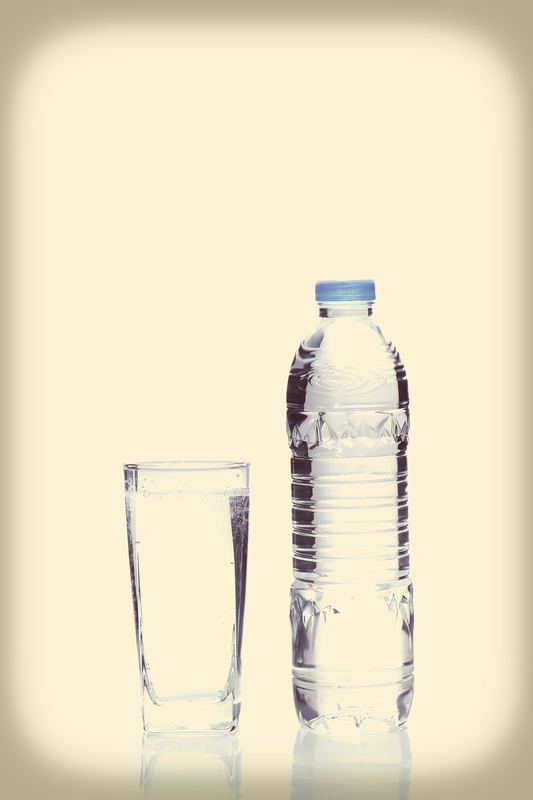 Staying well hydrated is vital for your general good health and kidney health. Your kidneys need enough water to efficiently remove wastes through the urinary tract and prevent the build up of toxins. Think fast flowing waterfall rather than small, stagnant pond! If you drive for a living and/or have limited access to rest breaks or you spend a long time seated, how can you protect your kidney health? Not having easy access to fluids throughout the day raises your risk of kidney stones, which occur when naturally occurring salts or minerals in the urine clump together to form hard masses. The more concentrated the urine, the higher the likelihood that these salts or minerals will clump together. Kidney stones affect four to eight per cent of the general population[ii] and, usually, the crystals are small and the minerals are dissolved in urine so they pass through without you noticing. But if salts clump together and become too large to pass easily, they can get stuck in the ureter (the tube that carries urine from the kidney to the bladder). This blocks urine flow, causing severe pain (also called ‘renal colic’) and can also lead to infection and kidney damage. More men are affected by kidney stones than women – one in 10 men compared to one in 35 in women. And, a family history of kidney stones, a history of urine infections and some medications also raises your risk. 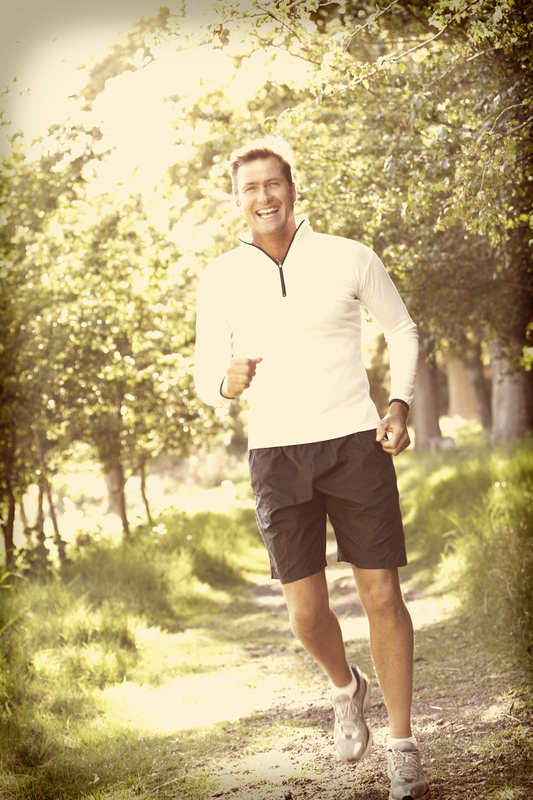 Normally, there are no symptoms until a severe and sharp pain sends you running to the doctor. Painkillers may be all that’s needed, but if the pain is severe, hospital admission may be necessary. Surgery may then be required to remove the kidney stone or stones. What can you do to reduce the risk of development of kidney problems? Life coach and accredited practising dietitian, Shivaun Conn agrees stressing that organisation is key. ‘Try to prepare for your journey by taking along large bottles of frozen water – they’ll provide refreshing hydration along the way.’ And, while it may not be convenient, try to stop for breaks as often as possible. Limit alcohol to up to two standard drinks per day for men, one per day for women. According to the National Kidney Foundation, alcohol affects how your kidneys function, reducing their ability to filter harmful toxins in the blood. ‘For drivers at risk, it is vital that they see their GP and organise an annual kidney check up,’ says Dr Mathew. This is especially important if close family relatives have had kidney disease or another chronic disease. Even if you don’t have kidney problems or symptoms, a health examination (such as a blood test, urine analysis and/or x-ray) is important to discovering potential health problems – so don’t dodge your doctor! Smoking can harm your kidneys even if you have no other diseases and smokers are three times more likely to have reduced kidney function[iii]. And, stopping smoking can bring real benefits – this study showed that former smokers had fewer kidney problems than current smokers suggesting that smoking-induced changes are temporary and may be reversed if you stub out the habit. Diabetes and high blood pressure can damage your delicate kidneys. The damage happens gradually over many years without symptoms. That’s why it’s vital to try and keep your blood glucose levels and your blood pressure levels within normal limits. Opt for low GI (glycaemic index) foods which help to keep your mind and body fuelled for longer and help your body to control blood glucose levels – very high and/or very low levels can damage tiny blood vessels including those that nourish your kidneys. Making sure you don’t get overly hungry can also help you make healthier choices when you’re faced with truck stop favourites. Eating plenty of veggies and two fruits daily not only hydrate you but also provide potassium, which can help your body moderate sodium (salt) levels. Too much sodium means that your body uses water to try and get rid of the excess, which can mean you lose water. So enjoy more potassium-rich foods (bananas are especially rich in potassium). Try slicing banana and adding to sugar free, low-fat yoghurt and freezing both together for a healthy snack on-the-go. And watch your dressings. The creamy, cheesy kinds can be rich in salt as well as fat. Stick with balsamic vinegar and a drizzle of olive oil if you can. As well as increasing fluids in foods and drinks, Shivaun suggests that you decrease sodium (salt), which can be dehydrating – not good for your kidneys or your blood pressure. Caffeine is a diuretic that causes the body to lose fluids excessively. Too many coffees and caffeine-containers like energy drinks and colas means that your kidneys are forced to work harder to pump out fluid and toxins because caffeine acts as a diuretic. Losing water from your body leaves you more vulnerable to dehydration, leading to kidney problems. Aim to exercise so that you are a little out of breath – around 30 minutes each day is recommended by health experts. If your work/life schedule means you can’t fit in half an hour all at once, aim for three bouts of ten minutes dotted throughout the day. If you haven’t exercised for a while and/or if you have a medical condition, check with your GP first. Sitting for long periods can contribute to kidney problems according to a study published in the American Journal of Kidney Diseases, men can see a benefit in kidney health by reducing their sitting time from eight to three hours, by 15 per cent[iv]. And, exercise boosted health even more when the men trained. Brisk walking, jogging or running on the treadmill may be more important for men, whilst cutting prolonged periods of sitting time may be more important for women according to the researchers. Plus, try to take frequent breaks, get out of your vehicle or stand up at your desk and stretch. This is great for your circulation and may help boost your concentration, too. Adopt a positive ‘stay well’ attitude. Although you can’t avoid stress completely, try mechanisms that help you keep anxiety under control. Yoga is a great de-stressor and you don’t need to go to a class to get the benefits. You can download free apps that guide you through basic stretching and relaxing exercises (although you may want to get a professional to help you get the moves just right as you begin). Careful with those bumpy rides! It’s thought that long-distance truck drivers may have a higher incidence of kidney bruising or damage compared with people doing other jobs. Driving over road bumps, potholes and rough terrain mean your body absorbs the vibrations via your vehicle and this may result in kidney disorders[v] (taxi drivers, truck drivers and mechanised equipment operators may also be at risk). When you’re driving, try to make your seat as comfortable as possible. A good quality seat cushion may help to reduce vibrations. And when you’re on the road, park your vehicle, get out and stretch your legs as often as you can – good for your circulation and your concentration. When you need to go, go! By postponing it, your body reabsorbs some of the toxins it’s trying to get rid of. Find out more about kidney disease http://bit.ly/1ID5CUk or log onto kidney.org.au.